The engagement ring is the first step to one of the biggest commitments of your life — marriage. It is a symbol of the love shared between a couple and their willingness to solidify their bond. We at The Gold ATM are aware of the significance of this piece of jewelry. Good news for our current and future customers! Not only are we Atlanta’s highest reviewed diamond and gold buyer, but we are also exceptionally known for our affordable engagement rings. Through us, you might be able to swoon the love of your life without losing all of your savings on one ring. To assist you in choosing the best of the best, we have handpicked the engagement ring trends of 2019. This way, you can make sure your lover has the best ring of all. As you go through this list, don’t forget to check out our collection of affordable engagement rings. Although we sell pre-owned jewelry, they’re all in immaculate condition. If you’re lucky, you might find one of these rings in our collection. On November 27 of 2017, Meghan Markle showed off her yellow gold engagement ring to the world, and ever since, this elegant metal has been in demand among couples around the world. Yellow gold compliments almost any skin color, and it looks great next to diamonds and gemstones alike. The three stones in this ring represent the past, present and the future of the couple. Isn’t that a great way to start a life with your loved one? We expect designers to get creative with this ring by replacing the smaller diamonds with pearls or some kinds of gems. Whatever it is, this ring will add the perfect touch to any vintage, modern or beachside wedding. Some things (like engagement rings) need to have a classic touch, no matter how far into the future we have gone. Thus, rings with a gallery detailing are the perfect combination of vintage and contemporary. In fact, the best we’ve seen so far is a diamond gallery detailing. Adding halos has been an all-time favorite way of accentuating engagement rings. However, in 2019, we expect designers to take it one step further and experiment with different halo designs. For instance, soon, the Flora Vida or pearl-shaped halos might replace the old-fashioned cushion halo. If you’ve seen Sophie Turner’s engagement ring, you know what we are talking about. Stacked rings are a delicate way to adorn the hands of your lover. We expect this trend to reach its peak over the next few years. To sum up, the Gold ATM is unlike any other gold trader you’ve come across. We buy used jewelry at the best price, provide jewelry loans and specialize in selling pre-owned jewelry. Certainly, if you’re looking for the most affordable engagement rings in Atlanta, you’ve come to the right place. However, even if you’re not looking for an engagement ring, you might still come across a beautiful piece of jewelry that is of great quality and price. Apart from engagement rings, we also sell necklaces, earrings, and some vintage rings. 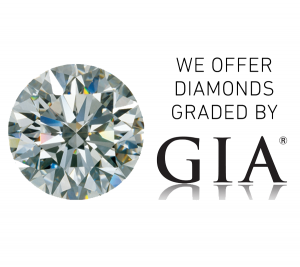 We assure you that we are Atlanta’s best gold dealer and the best place to buy an engagement ring. So what are you waiting for? Start the ring hunt already!